After a one-year hiatus, the Village Soup newspapers have rejoined the Maine Press Association. The group includes the Republican Journal in Belfast, the Capital Weekly in Augusta, the Bar Harbor Times and the Herald-Gazette serving the Camden-Rockland area. With a strong emphasis on multi-media, Village Soup was honored with a Knight News Challenge award in 2007 when they began using a digital platform in open-source code so that other communities easily could start online news sites. Richard Anderson is the founder of Village Soup while Ron Belyea serves as president and chief operating officer. Angie Muhs has been promoted from deputy managing editor to managing editor at the Portland Press Herald and Maine Sunday Telegram; and Joe Grant has been promoted from assistant sports editor to sports editor. The announcement was made last week by Executive Editor and VP of MaineToday Media Scott Wasser. Muhs now has oversight for all city desk, business, sports and features reporting as well as photography, page design and copy editing for the print and online edition of the two publications. She joined The Press Herald/Sunday Telegram in 2005 as assistant managing editor, initially for the copy desk and late for the features and online departments. Prior to her arrival in Maine, she worked at The State in Columbia, S.C.; the Herald-Leader in Lexington, Ky., and the Miami Herald. Grant was named assistant sports editor last fall after serving on both the sports and news copy desks. His primary responsibility was expanding and enhancing the two papers’ high school sports coverage, which he did well enough to help the sports sections earn a national award in the Associated Press Sports Editors’ annual contest. Grant joined The Press Herald/Sunday Telegram as a part-timer in 2002 following a pair of full-time stints in Central Maine 1990-96 and 1997-2000. He also worked in Rockland and Lewiston and gained full-time status in Portland in April 2008. Lee Hews, the founder and president of Current Publishing, has been appointed to the Maine Press Association Board of Directors. Thanks to a by-law change enacted at the November 2009 annual meeting, the number of MPA directors may vary from seven to 15. 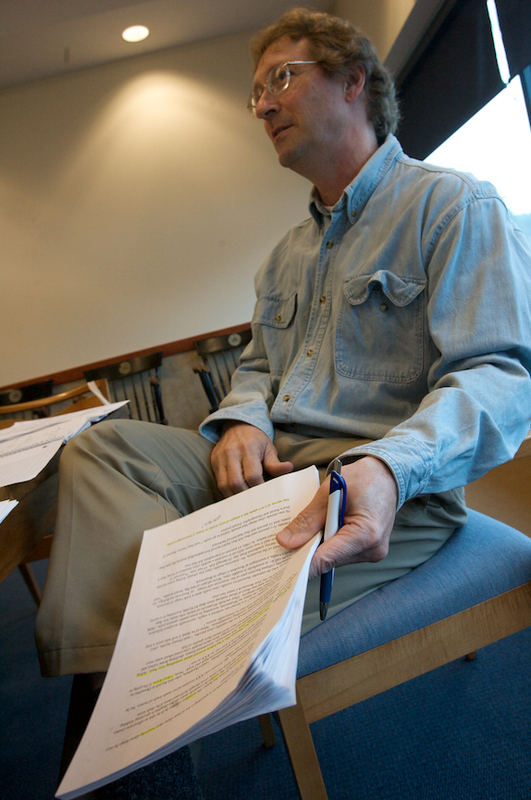 One seat is reserved for an associate member and another one is designated for a member representing the University of Maine’s Journalism Department. Hews began her newspaper career in 1987 as the assistant classified manager with the Portland Newspapers (then Guy Gannett Publishing). She was promoted to special sections manager and then group sales manager before leaving in February of 1996 for the advertising director’s position at the York County Coast Star. Hews was eventually promoted to general manager overseeing the Star and York Weekly. The first issue of the Current was published on September 13, 2001. Since that time, Current Publishing has grown to six weeklies, one monthly, two bi-monthly, one seasonal tourist magazine and what Hews describes as an “extremely active online community” at www.keepmecurrent.com. Hews has four daughters, four dogs, two cats and resides in Scarborough with her partner, Brian. Along with eight others, MPA Journalist of the Year Seth Koenig takes part in the writing workshop Friday. Longtime St. John Valley Times icon Don Levesque has retired after more than 25 years at the newspaper. Levesque held almost every position at the newspaper, from ad salesperson to business manager and from managing editor to publisher. As publisher, Levesque advocated for the Valley as a unique cultural asset to the state and the world. His work in promoting Franco-American and Acadian culture will always be remembered, as will his commitment to the truth and to serving his community. Levesque joined the St. John Valley Times in 1985, hired as an advertising sales representative by then-Publisher Barry Stokes. He was named advertising manager then general manager shortly thereafter, in addition to selling ads throughout the Valley. Levesque became a reporter-photographer in 1988 and, during the same year, was named managing editor in addition to his duties as general manager and reporting from the greater Madawaska area. Levesque was named publisher/editor in 1996 when ill health forced then-Publisher/Editor Emery “Legs” Labbe to step down. Labbe had been publisher for 10 years. Publishers prior to Labbe were Barry Stokes, 1980-1986; Forrest Rahrig, 1971-1980; and founder Joe Falter, 1957-1971. Levesque continues to contribute his popular weekly column “Mon 5 cents” to the Valley Times and is now working toward bringing a successful World Acadian Congress to the Valley in 2014. He also offers his time to the Levesque Association and Le Club Francais. Tessie Dubois stepped into the publisher position in January, bringing fresh ideas and an equally strong commitment to the St. John Valley Times. Dubois has worked for newspapers in New Hampshire, New York and Maine, including the St. John Valley Times where 20 years ago she had been recruited by Labbe to work as a reporter for Levesque. More recently, she attained her MBA in Organizational Management in 2007. Upon her decision to move back to Maine, she worked as a Research and Development Specialist at Northern Maine Development Commission before deciding to rejoin the St. John Valley Times. Since that time, General Assignment Reporter Tory Bonenfant of Verret, New Brunswick has joined the St. John Valley Times team just as new, state-of-the-art computers replaced the majority of computers at the Times, bringing the paper forward 10 years in technology. Glenn Turner, who has held a variety of management and editorial positions at the Central Maine Morning Sentinel and Kennebec Journal over the past 37 years, has taken advantage of a termination officer and will leave March 31. So will Justin Ellis, the host of NXT: The Next Generation blog at the Press Herald. Turner’s latest assignment was special sections editor for the two dailies. He also served as president of the Maine Press Association in 1992-93. Maine Today Media had previously announced several cutbacks at all three of its daily newspapers – the Portland Press Herald, Kennebec Journal and Central Maine Morning Sentinel – in order to trim expenses. Ellis, who has been with the Portland paper since 2003, made his announcement on March 17. Although Ellis wrote that the NXT desk “will likely close its doors,” no announcement from MTM was made about the future of the blog. Ellis presented a social networking workshop at the 2009 Maine Press Association Fall Conference. The conservative government watchdog group Maine Heritage Policy Center joined the Maine Civil Liberties Union for an outdoor press conference in celebration of Sunshine Week, a national initiative to emphasize transparent government and freedom of information. Other participants included the Maine Press Association and Republican and Democratic lawmakers. Ann Mostue covered the press conference for MPBN. Bangor Daily News assistant sports editor Pete Warner has received the Maine Sportswriter of the Year for the fourth time by the National Sportscasters and Sportswriters Association. Warner, 48, has worked on the BDN sports staff since 1979 and serves a dual role as a writer and editor. Warner is primarily responsible for college coverage, concentrating on football, women’s basketball and baseball, but he also writes about a variety of other sports at different levels. Warner, a 1980 graduate of Bangor High School and a 1986 University of Maine alumnus with a B.A. in journalism, also coordinates the NEWS’ coverage of college sports. Past BDN winners include Ernie Clark, Mike Dowd, John Holyoke, Larry Mahoney and Andrew Neff. After a long absence, the Advertiser-Democrat and Rumford Falls Times have rejoined the Maine Press Association. The two weeklies are owned by Sun Media where Ed Snook serves as publisher. The Advertiser Democrat is one of the oldest publications in Maine, if not the oldest. Its roots are traced to the Oxford Observer which was first published in Paris Hill in 1824. The weekly paper derives its name from the merger of the Norway Advertiser and the Oxford Democrat in 1933. It covers approximately 18 towns in Western Maine. The birth of the Rumford Falls Times is traced back to 1883 when Boston newspaper publisher Edgar N. Carver started a weekly in nearby Canton known as the Canton Telephone. For a short time in the 1950s, the Rumford Falls Times was published as a daily. But in 1954, a massive fire that started as a lumber company one block away wiped out the Times office, printing plant and radio station WRUM. It eventually went back to a weekly publication. Sun Media Group bought the Rumford Falls Times and Advertiser-Democrat from Howard James in 2005. Remember writing? You should. After all, it’s what made so many of us get into newspapers in the first place. And it’s what makes reading the paper a pleasure – or a chore. The Maine Press Association invites you to step back from the daily grind, take time to think about what makes or breaks a story and join a group of your colleagues to trade tips and ideas. 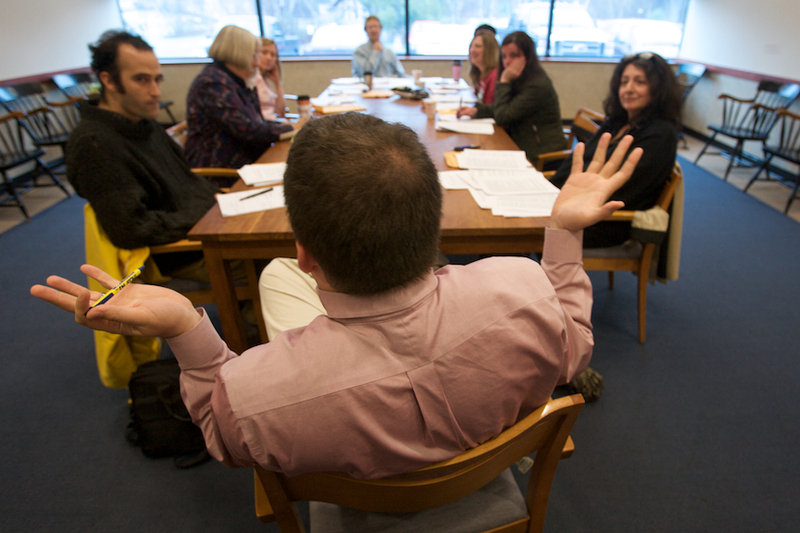 For two half-day workshops on April 9 at The Times Record in Brunswick and on April 22 at the Bangor Daily News, we plan to assemble small groups of writers to examine the work they’re doing and figure out how it could be more satisfying, to themselves and to readers.